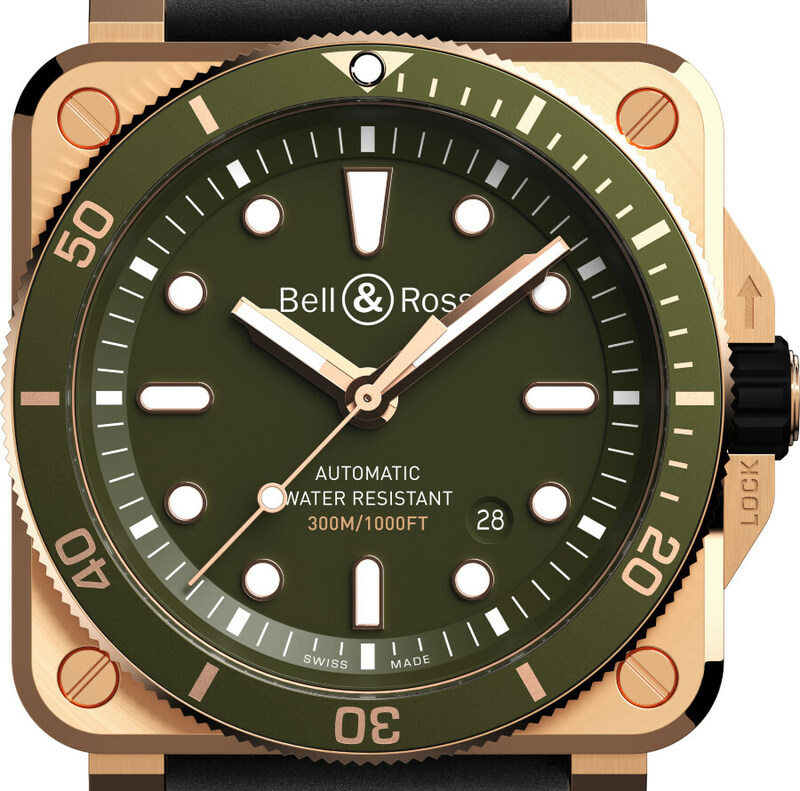 Working to the motto that simplicity never need hinder luxury, Bell & Ross’ engineers have managed to capture the spirit of the military watch with the legacy from the past. 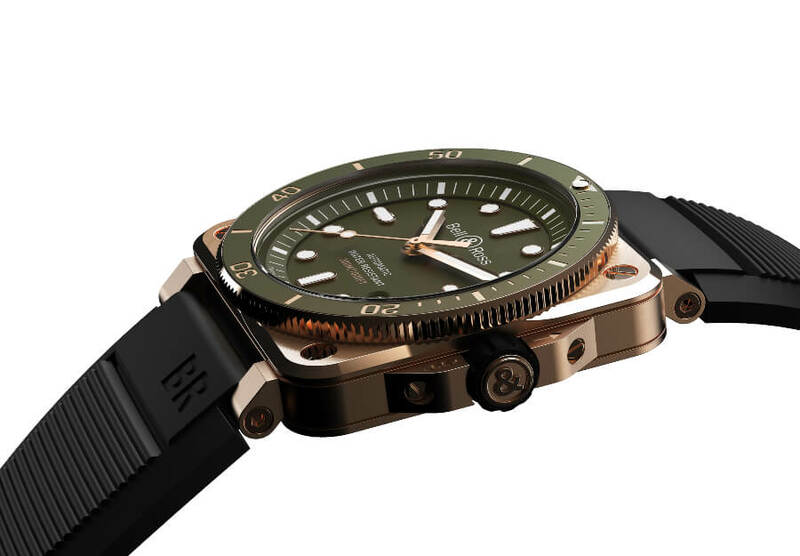 In total compliance with military and diving requirements, the monochromatic olive dial is perfectly readable night and day thanks to its gold-plated appliqué indices with Superluminova inserts. Bronze is the first alloy developed by mankind around 7,000 years ago. 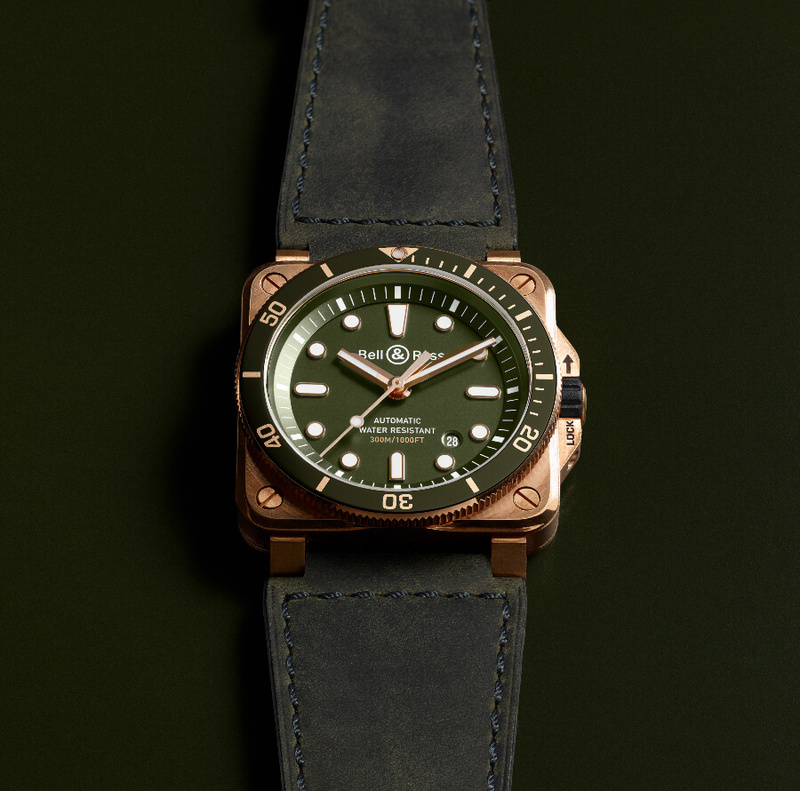 The specific alloy used for this new 42 mm timepiece is a satin-polished CuSn8, made of 92% copper and 8% tin. The khaki leather strap confirms the watch’s genuine vintage spirit but can be replaced with a rubber strap to be used while diving. 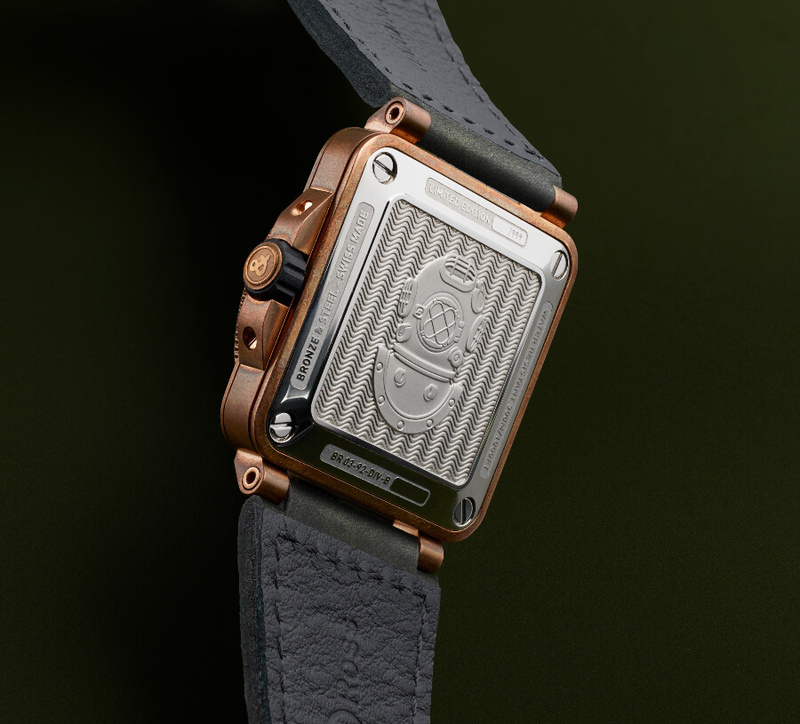 This limited edition distinguishes itself from the others through its dial. Bell & Ross introduces an appealing combination that makes two worlds meet for the first time. 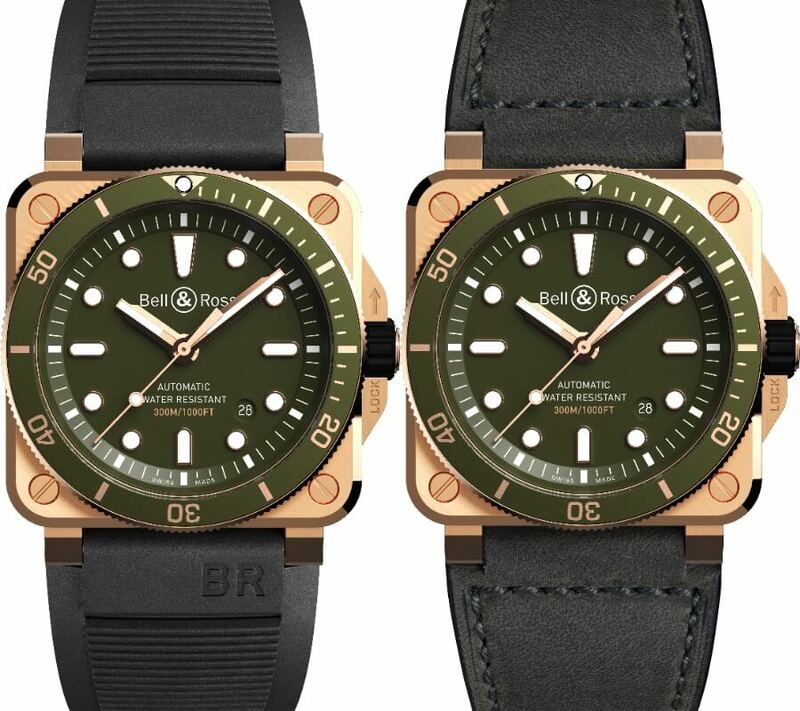 The alliance of Bronze – the diving industry’s metal of choice – and olive green – mirroring the color of the military camouflage uniform– works beautifully together, giving it a neo-retro and rugged look. Dial: Green. Gold-plated applique indices with Super-LumiNova inserts. Gold-plated skeletonised Super-LumiNova - filled hands. 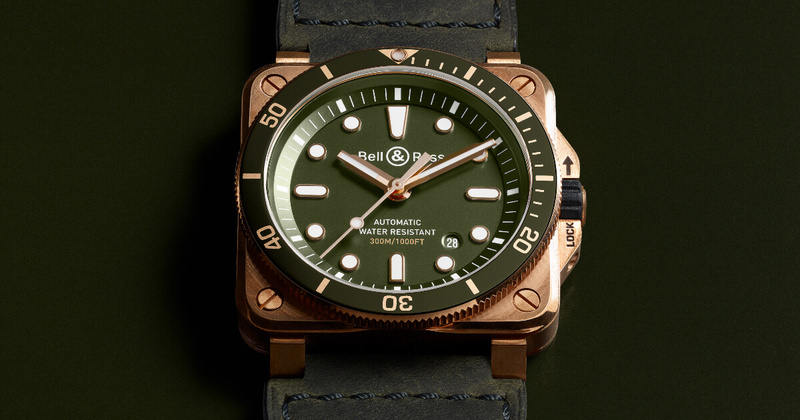 The price for the Bell & Ross BR 03-92 Diver Green Bronze is $3,990 and will be limited edition to 999 pieces.